If you are interested in the post – which is for 7.5hrs a week (12pm – 1.30pm every day) – you can also ask for an application form from the office. The closing date is October 5th and interviews will be on Monday 8th. We shall be holding our Harvest Assembly for the children on Tuesday – next week. If you are able to spare a tin of soup, or some tinned fruit, or perhaps a packet of pasta, your donations will be gratefully received. 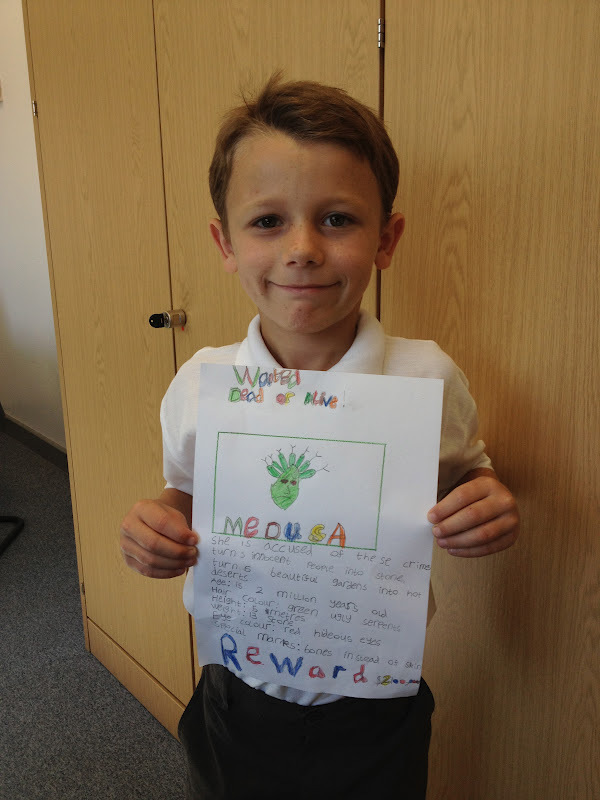 Just send in your food with your child and a collection will be made from their classroom. Last year we made a donation to the Women’s Refuge, which was really appreciated. Last week our amazing school choir was dispatched to Romford for the opening of the new Age UK hub store (in South Street). Clearly the word has spread about how angelic their voices are, as we are now taking requests for public and community events. Our Mayor – Councillor Lynden Thorpe – was extremely impressed. Of course it made for a great newspaper story… and the children are in the Romford Recorder this week! The recommendation for this event came from our very own Chair of Governors, Gill Gordon. 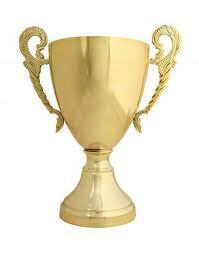 This week the winner is... Yellow & Green (Dulverton & Cricklade) with a total of 64 points each. Blue were just pushed into third despite an impressive total of 41. This week the children have shown a real enthusiasm for the house point competition and are already setting their sights on the cake and drinks at the end of half term. Kittle Photographic are in today for individual and family group photographs. Brush the hair, tuck in that shirt and polish your teeth for that dazzling smile! Our photographer will be available from 8.15am for the family shots and will then work her way through the classes for their indvidual photographs. 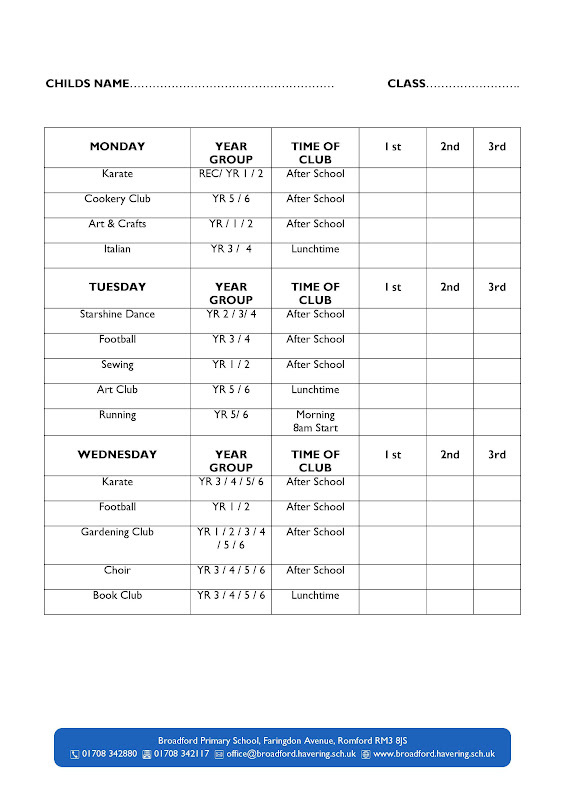 Overall: We offered a total of 23 separate clubs: 2 morning, 5 lunchtime & 16 after school. KS2: 17 clubs offered & 290 places have been allocated. I am sure you can appreciate that it is a massive undertaking to get all of the organization for these clubs in place. There are just a couple of things you can do to help us. If your child has a football club place, they must bring kit suitable for going outside. Many of the KS1 pupils just had their PE kit. Even when it is raining, they will go outside. They must have trainers/boots, a separate kit to their PE clothes and a jacket. Rain and mud are great for the children… but highly destructive to white t-shirts and plimsolls! Without suitable kit they may not be allowed to take part in the activity. Practice with your child the art of getting undressed in an organized fashion. We do our best to manage the children, but it is not easy to keep all of their clothes apart when they use a scatter bomb approach to changing. Simple tips like: put your socks in your shoes and put your clothes back into your PE bag, would make a huge difference. Do you enjoy eating soft fluffy fairy cakes? Do you deserve to put your feet up on a Friday morning and have someone else wait on you? Have you got some spare change that could be used to support a good cause? 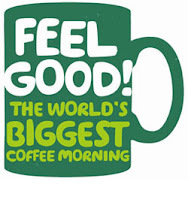 If the answers to these questions is yes... then please come and join us for our second Macmillan Cancer Coffee Morning. Our Year 6 pupils have been working relentlessly to get all the decorations, cakes and drinks ready. All we now need is your custom. Last Thursday, Miss Reynolds accompanied twenty choir members to Romford to perform at the opening of a brand new store - Age UK. The flagship hub, located on South Street, is the only one of it's kind in the London area, so the children were all extremely honored and excited to be performing at it's grand opening. Five songs were sung in total; all witnessed by some of the parents, local community members and even the Mayor of Havering herself - Councillor Lynden Thorpe! The children were complimented on their superb behaviour, spectacular performance and their immaculate uniform. Well done to you all! We look forward to welcoming the parents and carers of Maple on September 26th at 9.05am in the new hall. Last week we had quite a show from Elm: drama, story writing and singing. An awful lot has already been covered in a short space of time! We look forward to seeing you next week. Once again we have extremely positive news to share with our attendance figures. Two classes – Rowan & Birch – managed the achievement of scoring 100%. Well done you! In addition we had another five classes whose attendance was over 99%. Keep this up and we will have one of the best attendance rates in the authority and of course our achievement and attainment will benefit enormously. Great job mums and dads on the punctuality. Our late figures are showing a real improvement, so thank you for setting the alarm five minutes early! We do keep a record, not just of your child’s attendance, but how many minutes late they are as well. If you miss just 10mins of school a day that is equivalent to 26 hours of learning – which is a solid week of school! Our coach, Steve, had a very tough time deciding on the final squad lists for the girls and boys football teams. However – after two trials – we have made the decision that the children below will be the ones to represent us in this year’s competition. During the trials they showed athleticism, co-ordination and flashes of real skill. However the most important thing that shone through was their team spirit and aptitude. All members of the squad are expected to embody the qualities we look for in our pupils. They must be smartly dressed in the school uniform, turn up every day, always do their best and model polite, kind behaviour. I know that this group of children will do us proud! This change does not affect the pupils' own personal login that they use once they are within the site. As I have now completed my first year with you as Headteacher, the school has moved forward out of Special Measures and we are now established in our new building it is a good time to reaffirm the vision, values and moral purpose of the school. Every member of the school community should have the right to contribute towards this discussion so that we create a statement of Vision & Values that encompasses our pupils, our parents, our staff and the Governors. Your children have already been talking about it in their classes and have come up with some excellent suggestions. As a staff, we looked at this on the first INSET day. It is now your chance to put your views forward. Please find attached a survey sheet for you to return. We don’t need your name (if you prefer to remain anonymous) but we would like the class of your child/children so that the class with the highest percentage of returns can win a reward. The prompt sheet is attached and should be returned on Monday. By all means talk it through with your children at home. Mrs Nicholls will be contacting parents to ask if they would come in and help to look through the responses and take an active role. If you feel this is something you would like to contribute to please let Mrs Nicholls know – contact the office or see her on the gate. I look forward to hearing your thoughts and ideas on how our school can further develop over the forthcoming years to become the best school on the hill! Congratulations to the pupils who have been selected as prefects for the upcoming year. Having trustworthy, mature and helpful pupils to carry out jobs within the school is an enormous help. The pupils had to identify the skills they thought would be needed and then write a letter of application. Myself, Mrs Higginson and Miss Rutherford discussed the applications and came to the following decision… it wasn’t easy! All of the pupils will be presented with a badge to show their position and we look forward to working closely with them this year. We know that their conduct and attitude will be a great example to all the other pupils. Throughout the meal, tales were told and songs were sung, celebrating the achievements of their heroes. Without warning the party was terrorised by screaming Harpies: with wings instead of arms, with beaks instead of mouths and claws instead of feet. Swooping mercilessly from the darkened skies, the evil creatures took the crops from the field, the animals from the barns and the cakes from the cupboards! Desperate, the villagers attacked the flying monsters. Would swords be enough? No, their claws snatched them from their grasp. Would bows and arrows send them crashing to the ground? No... the feathers were too tough. The arrows just bounced off. Suddenly the townsfolk remembered the legend of Perseus and how he killed Medusa. Bravely they vow to return to the lair of the Gorgons. With the heads of the two remaining sisters they would be able to kill the hideous birds. After a difficult voyage their tired wooden boat docked on the Gorgon's island. Splitting up the teams made their way to the cave: some crossed the mountain, some cross the desert while the rest crossed the thick tropical forest. Finally the friends find the cave. A terrifying scream echoes from its dark depths. The stench of rotting flesh flooded their nostril. Snakes hissed, stones dug into their flesh and blood dripped from the stone ceiling. At the end of the cave were the Gorgons. Loud snores rumbled... it was safe to approach. Scared by the frozen victims of the Gorgons glare the heroes approached nervously. When would they wake? ... now they could strike. Quickly they covered the demons eyes with dark lenses. Next they were bound with thick ropes. Captured and powerless the sisters had no choice but to board the ships and head back to the village. However, in the time they had been away, the village was stripped bare. How would they lure the Harpies back if there was no food? During the voyage to Gorgon Island one of the ships had caught a shark. Chopped up into chunks it made the perfect bait. Unable to resist the smell of fresh meat the Harpies returned. Quick as a flash, the villagers whipped off the coverings on the Gorgons eyes and took cover. As soon as the wicked birds turned their evil gaze upon the two remaining sisters, they turned to stone. Plummeting to the ground their petrified forms shattered into a thousand pieces... KABOOM! Suddenly there was a flash of light and a strange sound.., Athena had arrived. Heartened by the Gorgons willingness to help the townsfolk, she agreed to lift their curse. Bathed in a glow of golden light, the sisters transformed back into beautiful maidens to live happily ever after amongst the village. Spellings will still be given out weekly as is the case now. Mental maths (times tables) will still be set weekly as is the case now. During the parent meetings that we held last year, homework was a constant topic for debate. It was clear that the way in which we were organising the work was not meeting your expectations as parents, not always supporting the work being done in class and not motivating all of the pupils to give it a go. As a result we are going to trial a new approach to homework between now and half term. If it is successful, then we will continue. If there need to be changes, we will make them accordingly. The first new initiative that we are working on is Building Learning Power – or Learning to Learn. These are life skills, not just facts and dates to remember. Our aim is that through giving the children the freedom to select a project that excites them they will be able to demonstrate these very important qualities which are essential if you are to be successful at school, college, or at work. 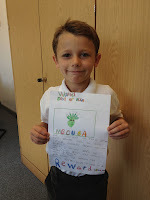 · We will be setting the children a project homework that will run for 5 weeks. · The projects need to be completed by the 22nd October. · It is up to the children how long they spend on their topic, but the ideal would be around 1.5 hours a week. 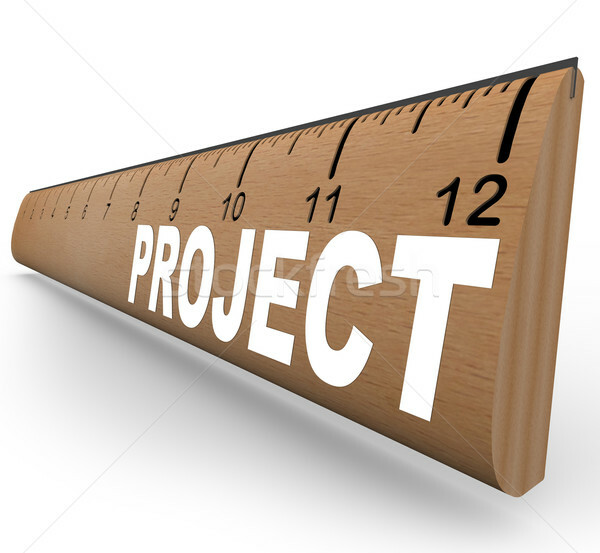 · All teaching staff, including me, are completing a project too which we will share with the children weekly. This will be used as a model for expectations and to show that we are learning too. I would encourage you to learn along with your child and encourage them to ask insightful questions of the topic that they might choose. If it were fighter jets: who invented the jet engine, what is the highest altitude they can reach, what do you need to become a pilot, which weapons can they carry, do the pilots ever get hurt in training, how have fighter planes changed in the last fifty years? The questions are endless. Please find a copy of the expectations for the project work on the back of the letter… and get researching, making and drawing! 1. Use our neatest handwriting. 2. Draw diagrams and pictures in pencil. 3. Put information from the internet into our own words. 4. Organize our ideas clearly with: contents page, titles and subheadings. 5. Look for different ways to present our work: pictures, models and diagrams. 1. Praise quality work by other pupils and tell them why we think it is good. 2. Think of interesting questions to ask of each other’s projects. 3. Share our work proudly… it shows the best we can do. 4. 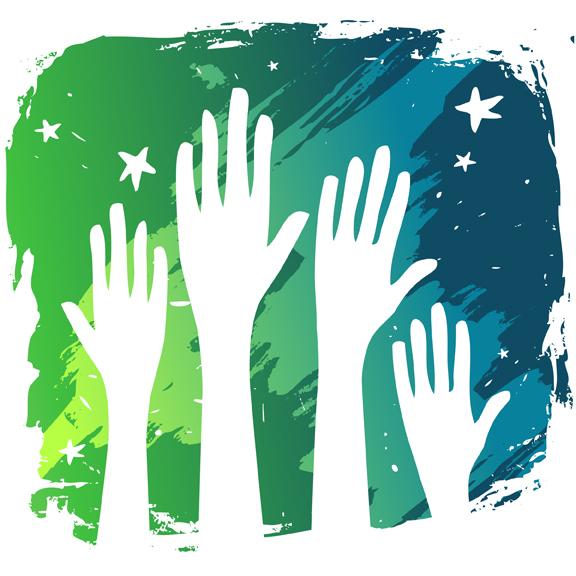 Suggest ways our work and that of others could be even better. 5. Get excited about sharing new facts and information. Applicants should be able to talk about how they demonstrate the following qualities: enthusiasm, a sense of humour, an ability to stay calm and patience. As a member of our team you would use these qualities to to make lunchtime a positive and worthwhile experience for all of our pupils. Please apply online by visiting www.haveringschools.jobs and submitting an application form. If you experience any difficulties please contact Education HR on 01708 434255 or phone the school on 01708 342880. Parent Volunteers - Sign Up Now! Last year we had a number of parents who wanted to volunteer on a regular basis. This is very useful as it provides extra support for the teachers and pupils. 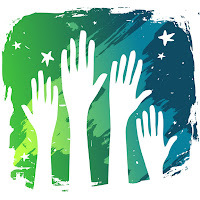 However we are required to treat all regular volunteers in the same way as we would employees. If you would like to volunteer, please give your details to the office so that Mrs Nicholls can organize an induction session. 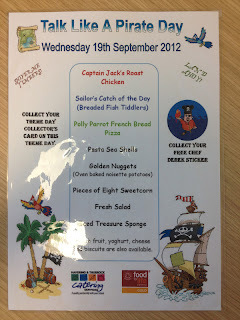 Our first themed school lunch of the term was a great success. Tempted by the thought of pirate treasure and the chance to eat a bejewelled sponge cake, 162 children were served by Murderous Mandy. Without a doubt it was the busiest dinner time we have had so far this year... well done to the Pirate team! Mandy and her Pirate crew certainly got in the spirit with their stunning costumes and plenty of "Aye Aye me hearties!" 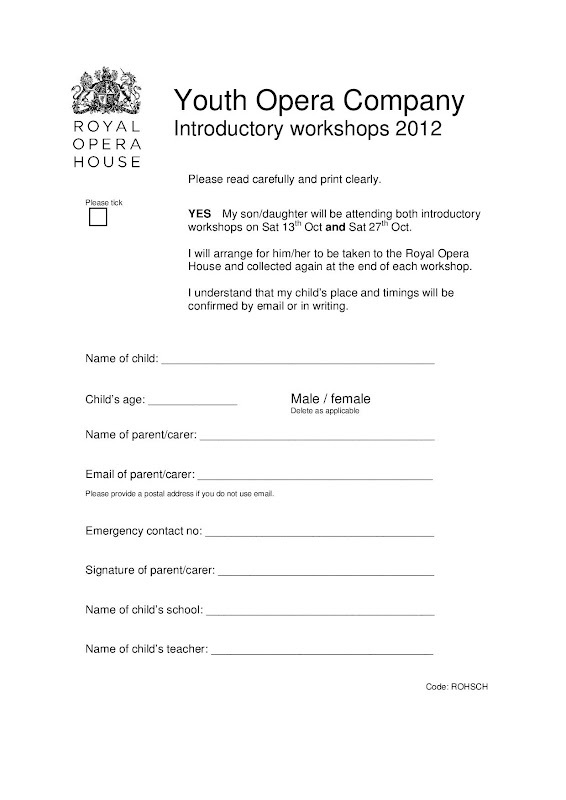 Royal Opera House Want You! Last year, the choir was one of our greatest successes. Without a doubt the children have got very powerful voices, and they love singing. Additionally we witnessed a superb, innovative end of year performance from the Year 6 pupils which was led by the Royal Opera House. 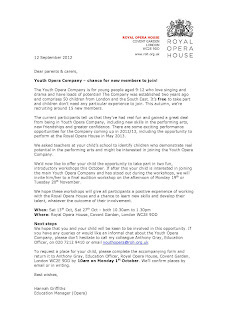 Many of you may not be aware, but the ROH have a major development now open in Purfleet. These outstanding facilities are designed to help raise the profile of music in the community. 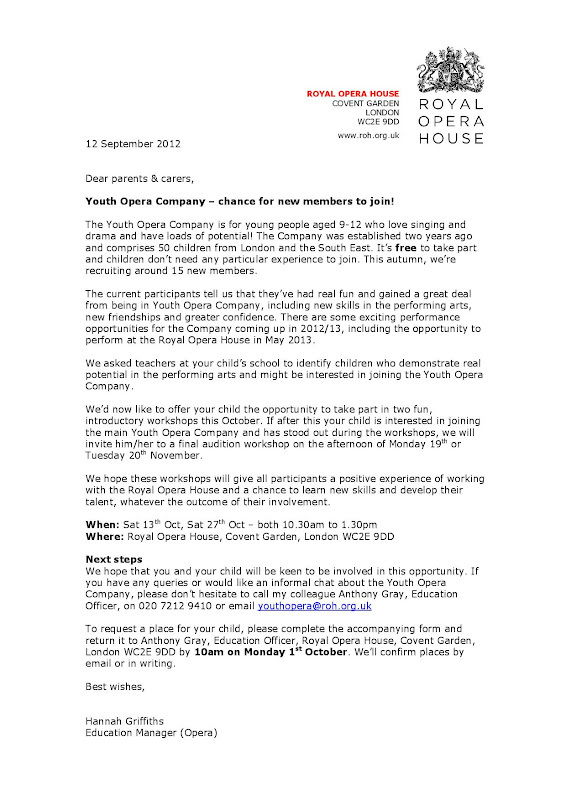 If any of our parents are interested in taking the children along for singing classes, the details are below. 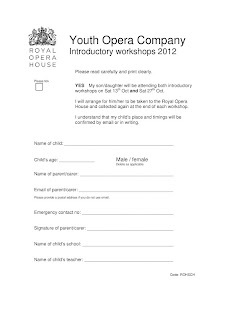 I know that the ROH will be lucky to have our Broadford voices sign up! This week the Year 6 pupils had to prepare for their speech to their house team. Those brave pupils - who were prepared to stand in front of around 60 of their peers - had to speak about why they would make an effective leader. Honesty, sporting excellence, enthusiasm and being approachable: these were qualities that all the contenders referred to. Certainly the pupils had a difficult choice to make? Who would be best placed to lead them to House point glory? Which house would be winning the half termly cake and drink? Could it be their year to win the inter house competitions? Below are the names of the pupils who were elected on Wednesday. Congratulations to them. Each receives a house badge to wear on their jumper. In addition there will be a house display in the corridor. Each week the house captains will collect the points and read the results out in assembly. Strategy meetings have already been called by Beth & Tommy - who are desperate to win the trophy again. Well done to all the pupils who stood for election. It is not easy to stand up in front of a crowd and give an effective description of why you are a worthy leader. It is heartening to see so many pupils with the confidence to get up and have a go! 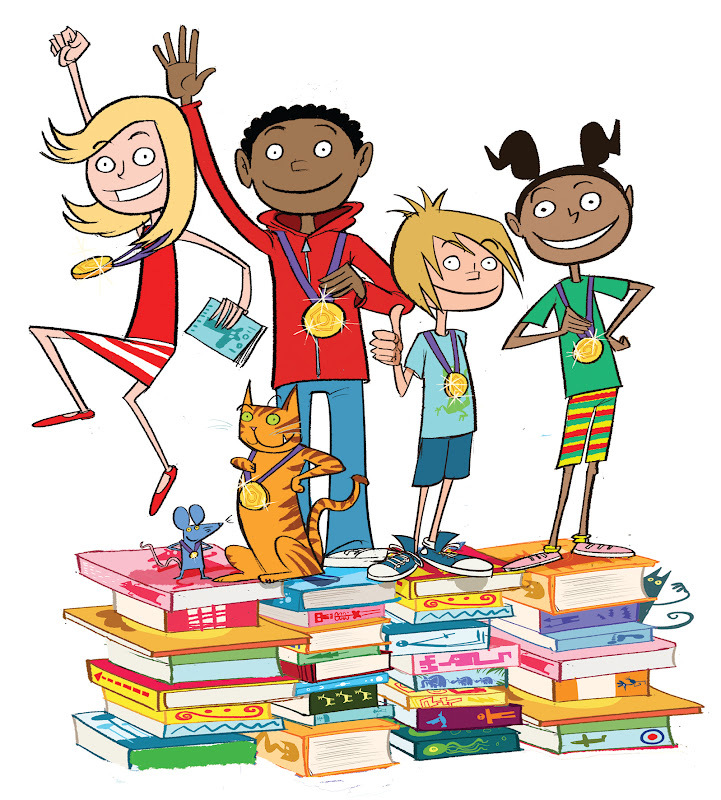 Congratulations to our pupils who managed to complete the Summer Reading Challenge during the holiday. Organised by the library service, the children had to read 6 books in the six weeks. This year we are going to give reading for enjoyment a real push. The first part of this was appointing our school librarian: Mrs Sparkes. Since the first day of term, she has busied herself in the library, logging books, organising registers and creating displays. 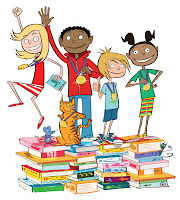 Very soon Mrs Sparkes will be in a position to start taking groups of children up to the library to read and to change their books. Jo from the library service is going to help us set up regular class visits to the local library. We can even have class library cards, so the children can take out two books each. We just can't wait to get started! Last year we saw a steady increase in our dinner numbers - particularly for the themed days. The Year 6 Leavers Lunch, Olympic Feast and Tudor Day; all of these were a great success. 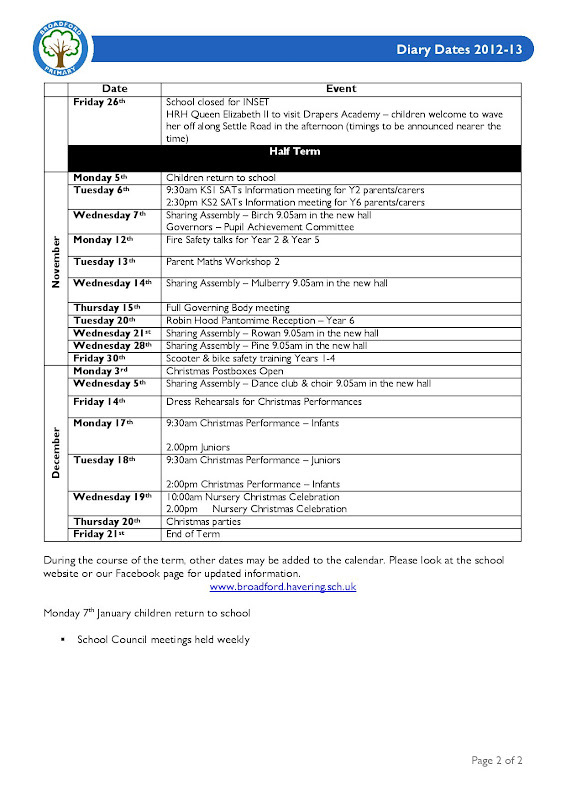 This year the special theme days will be continuing and the first is on Wednesday! Have a look at the menu for the Pirate Day for lunch on the 19th September. Will you be able to find some of Mandy's golden nuggets? You'll never know unless you grab a dinner ticket and join the treasure hunt. Housepoints:This week the winner is Cricklade (Green) with a total of 48 points. Red were a very close second with 47. Lots of shirts have been tucked in, doors opened and ‘pleases’ used this week. Well done Green house! A great achievement at the start of the term! These scores refer to the three day week we had. Now we need to keep this going for the rest of the Autumn. Details will be published next week of the new ‘Motiv8’ scheme we are using to promote and reward good attendance. However it simply means more prizes for everyone! We are pleased to inform you that our school uses the Havering Catering debit/credit card system for payment. You can choose to collect your tickets from the ticket line at school, or have them sent home to you via your child. If you choose for your child to bring the tickets home any loss is not the responsibility of the Catering Service. Dinner tickets will still be on sale - using cash - on Mondays and Wednesdays. Mandy (our cook) will be by the new hall entrance. If you have any queries about the payment service please contact the catering department on the number shown above. I would like to thank you for the patience you have shown, both last term and this, as we have tried to come up with a system for the end of day collection. Currently the hall is becoming rather congested as both parents and children try to enter the main area. To avoid the overcrowding we are going to keep the doors closed until 3.15pm. When you enter the hall the children will already be there in their lines, ready to collect. If the weather turns - we hope it won't - the doors will be opened earlier to allow you inside. There is a notice being place on the doors to state this slight change as well. Thank you for your continued patience and understanding. Hopefully we will be able to go back to the old system by the start of next term. 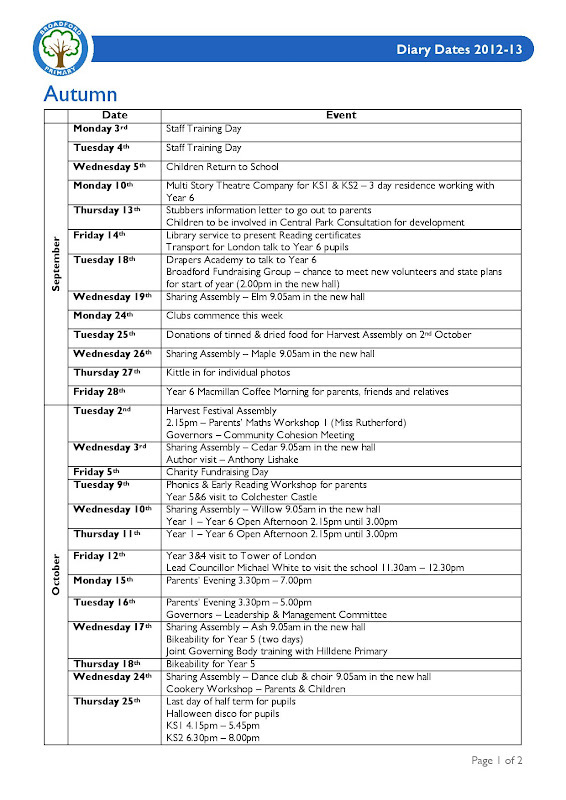 Please find attached the key diary dates for the Autumn Term. 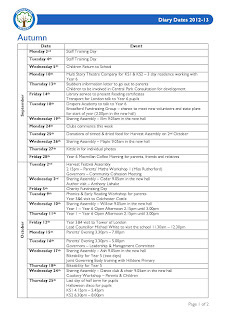 At the moment we have dates for Year 5&6 and Year 3&4 to go on their trips. Year 1&2 will also be going, but we are waiting for the venue to confirm. Once we know, you will be told. 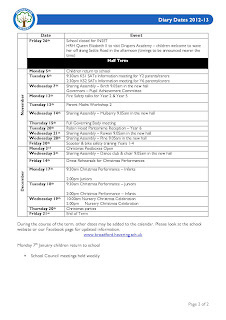 Please take note of the BFG Start of Year meeting. Last year was very successful and built a good foundation of support on which we hope to build this year. It is very important that we have more volunteers and supporters come forward from the school community. A parents' association is a key way to raise money, put on events for the children and develop the community spirit of the school. I know that Mr Borrell (our new Chairperson) is very keen to develop the role of the group and use it to provide opportuntities for parents and pupils. 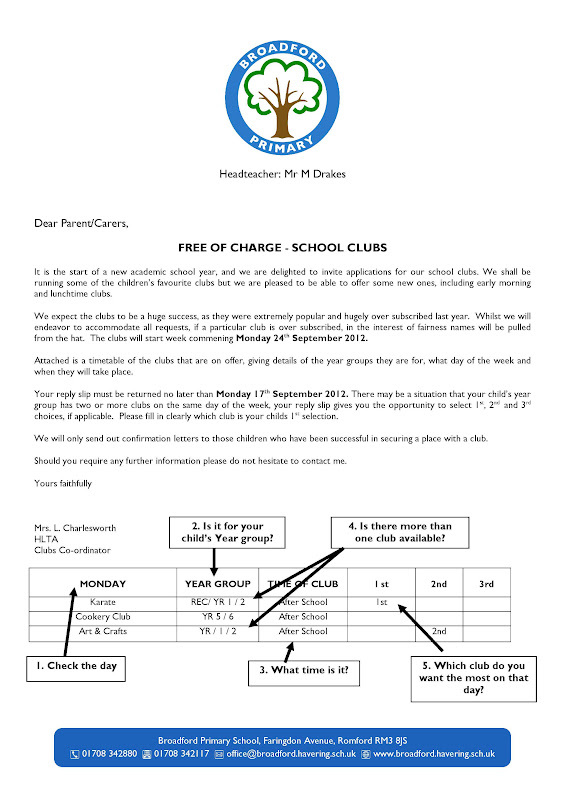 We are delighted to announce our extra curricular club offer for the Autumn term. Once again the clubs will all be provided for free... that's right, no charge at all! The response so far to this provision has been overwhelming and the children have thoroughly enjoyed all the different activities. This year we have listened to the children and parents: more clubs on offer for Reception, a new junk modelling club and now clubs before school too. These were all suggestions from you. Please make sure that you read the form carefully. Your child can only be in one place at a time. If there are two clubs on a Tuesday night they would like, unfortunately they will only be able to choose one. There are now too many clubs and too many children involved for the registers to constantly be having new names added. 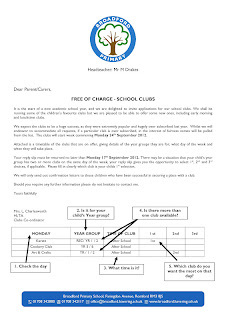 The register for each club is limited so that the children get a high quality experience. If you are late returning the form you risk missing out. A paper version will be coming out this afternoon, but this allows you to print it off yourself. 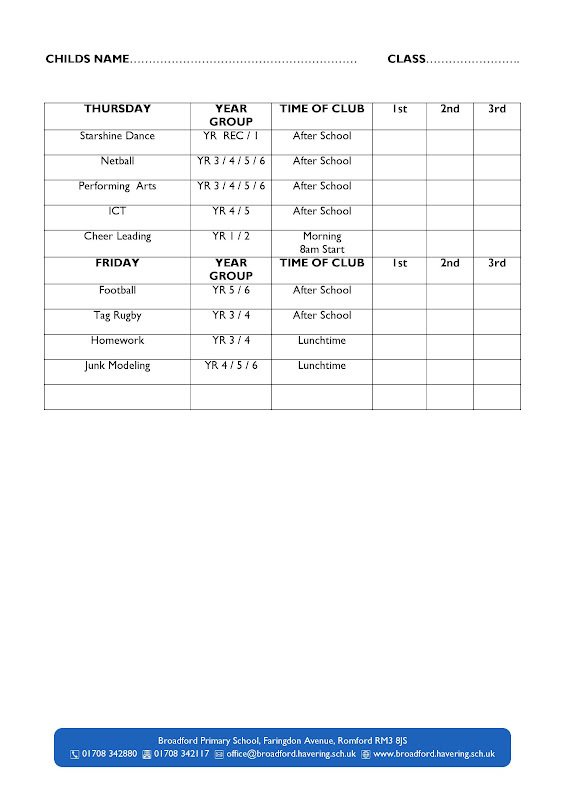 We look forward to week commencing 24th September when all the clubs will start. How does it work? Children record on their individual passport whether they have walked to school that day. At the end of each month, if a child has walked at least once a week, they receive a special collectable pin badge. There is a different badge for each month of the school year. The badges are designed by children in a national competition held each year. Why Walk to School? 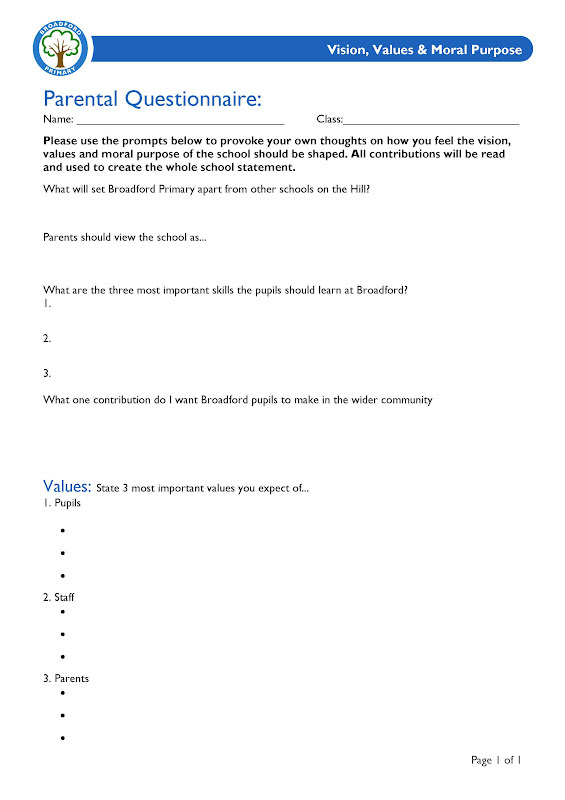 Broadford school is taking part in WoW because of the many benefits we believe it will have on the school community. It is one of the easiest ways for children to reach the recommended 60 minutes of exercise each day and walking is also good for children's mental health. Children who walk tend to socialise with friends more and have improved concentration levels. It's free, great for the environment and fun! 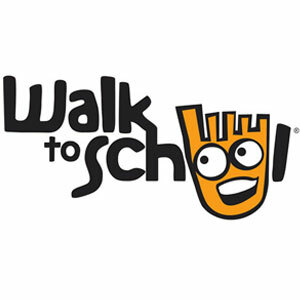 Walking together is also the perfect opportunity for children to learn road safety skills and develop an awareness of their local area, preparing them for when they will walk to school independently. It also has a positive impact on the environment and reduces congestion at the school gate. We live too far: If you live a long way from school and have to drive, you can 'Park and Stride'. This means that you drive some of the way, park your car at least 2 streets away and then walk the final part of your journey to the school gates. We get public transport: If you and your child travel by public transport, why not get off one or two stops early? I don't have enough time: Lots of parents are surprised at how quick walking can be, especially when you factor in congestion and waiting for a parking space around school. Why not try it out and see? 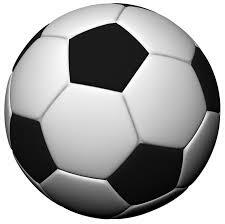 We are delighted to inform you that we will be holding the trials for the 2012-13 Broadford Football Squad this week. 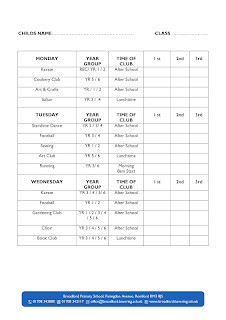 The sessions will be run as a PE lesson and all children in Year 5 & 6 will take part. Every pupil in Year 5 & 6 will have the opportunity to work with our coaches to develop their skills. While they are doing so, the coaches will be looking out for those who are good enough (in both ability and attitude) to make the team. The children should wear their school PE kit for the trial. No boots or studs are to be worn as the ground is hard and not all pupils have shin pads. Football kits should not be worn. The children should have a plastic water bottle with them as it is likely to be a warm day. Because this session forms part of their normal PE entitlement there is no need for parental permission. Parents will not be able to watch the trials as it falls within normal school hours. After the strong performances that the children put in last year, I have every confidence that our teams will continue to go from strength to strength! The results of the trials will be announced in assembly on Friday. We look forward to welcoming the parents and carers of Elm on September 19th at 9.05am in the new hall. The parental response last year was great. It is so nice to see the hall packed with mums, dads, grannies, granddads, aunties and uncles. We might have only had three days, but these children certainly made the most of them. Refreshed after the summer break, all had done very well in the first lessons of the new year. As a consequence, these wonderful children won the E for Excellence certificate... well done! Richard Gets Straight To It! When faced with the resumption of early mornings, the reintroduction of handwriting and having to concentrate on topic work, many children take a few days to get back in the groove. However that doesn't apply to Richard. From the very first day back he has been beavering away. With his ears pricked and pencil sharpened he has shown that 6 weeks off can improve performance. First he demolished the maths work he was given by Miss Moran... even managing to solve the tricky word problems. In the line ups and around school he has remembered to have his shirt tucked in for the full 360 degrees. 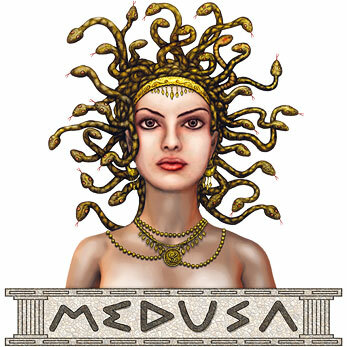 Finally he produced a stunning piece of work based on the story of Medusa. Although we've only had three days to remember our VCOP techniques, Richard has already included many of them: powerful words (hideous, stench, tangled), adjectival strings and good punctuation. Well done Richard... a great start back! After the long summer break, it has been a real pleasure welcoming back the children this week. Without their smiling faces in the school, it is a very lonely place to work! After a successful year – which saw us emerge from Special Measures and achieve the best SAT results in the school’s recent history – we are full of confidence that we can deliver the same improvements again. Your children, their education and their development are very important to us and we will do everything in our power over the next twelve months to ensure that they are getting everything they deserve. Please ensure that you come in and speak to us: if you want to say hello, ask a question, voice a concern. We are here to listen to you and take your views, ideas and thoughts on board. One of the most pleasing aspects of last year was the support given by the parents and relatives of the children. It made Broadford a real ‘community’ based school. In that spirit I would like to welcome you all back and say that I look forward to working with you, your children and your families over the year ahead. 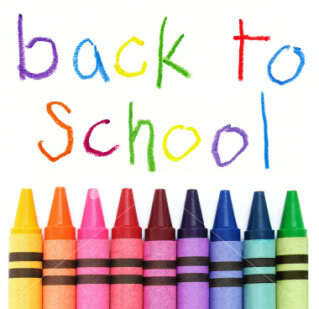 We are looking forward to seeing the children tomorrow after the long summer break. Breakfast club will be open as normal with Mrs Johnstone and Mrs King cooking up the usual array of sausages, bacon and toast. Remember you have to be in for Breakfast club before 8.40am! For everyone else, the Nursery entrance - next to the lower car park - will be open from 8.30am so that you can drop and go. Although the builders have made good progress with the Nursery building, the work is still impacting on the playground area. At the end of the day, please come to the old main entrance - as before - to collect the children from the old hall. 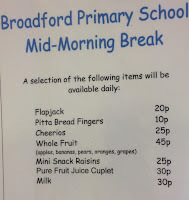 Over the course of last year it became apparent that there are many children who do not have a healthy snack in the morning – particularly in Key Stage 2. I am convinced of the argument that says ‘you are what you eat’! This year I have seen crisps, iced buns, chocolate raisins, chewy strawberries and Mars bars! None of these can be said to be healthy snacks. It is our responsibility as a school to encourage the children to adopt healthy lifestyles. As a result we will be providing free fruit for a term for all the children in the school. 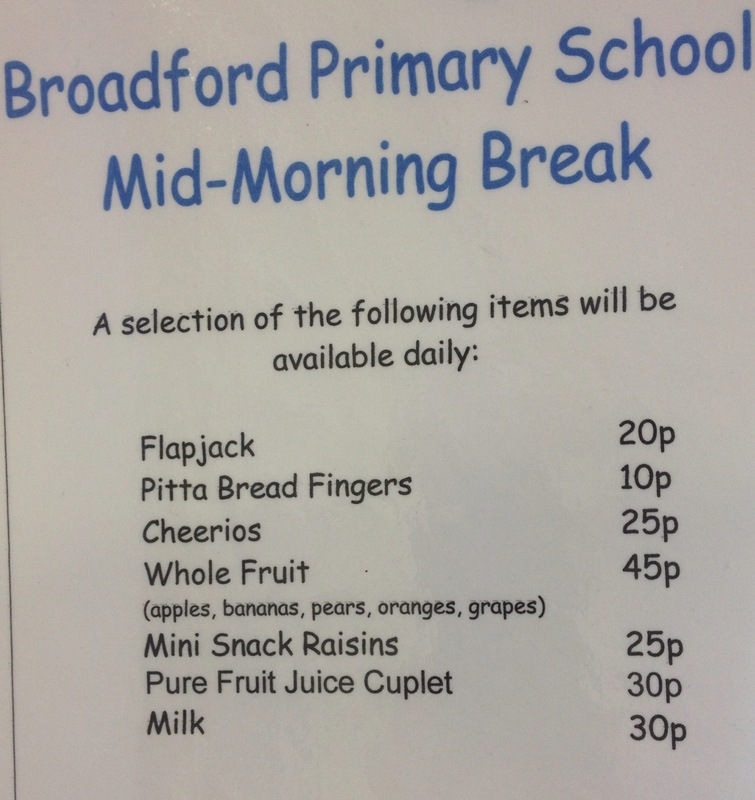 There will continue to be the service provided by our cook Mandy who sells healthy snacks at break time (please check the website for more information). Pupils will only be allowed to bring in fruit for their morning snack. They can either have the free fruit or buy from Mandy. Crisps, sweets, fizzy drinks, sugary drinks (Oasis & Lucozade) and iced buns will be banned. All other snacks - crisps, cereal bars etc are not acceptable. We hope that you have all had a restful and enjoyable summer holiday. We are very much looking forward to seeing the children again and marvelling at their holiday haircuts! 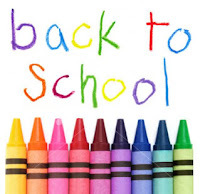 A reminder that Year 1 - Year 6 pupils are due to start back on Wednesday 5th September. Please come to entrance by the lower car park - as we did in the Summer term. They should be here promptly by 8.45am so that classes can start on time. 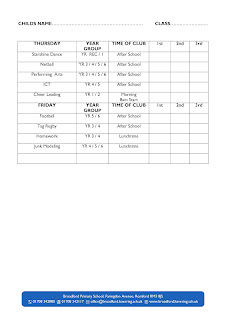 There are no clubs, so all children will be going home at 3.15pm. Please use the old main entrance to access the building and your children will be waiting for you in the old hall.